Long before humankind changed the landscape of the Earth with vast ambitious projects, one animal was manipulating its environment in a manner that still amazes us. Beavers are masters at tree felling and expert dam-builders. What else can they teach us? After humans and elephants, beavers are the one animal that has played a large part in shaping its environment. Although we can never be certain, it seems highly probably that it was the beaver that taught humans how to block water. Beaver’s ability to construct dams is unrivalled. These structures can be over 500 metres (1,600 feet) in length some cases. Nevertheless, one dam found in Wood Buffalo National Park, in Alberta, Canada, was an enormous 850 metres (over 2,700 feet) long. 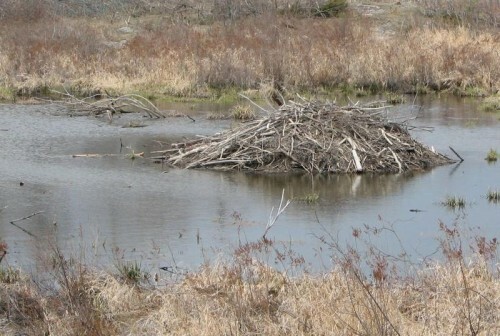 When constructing their dams, beavers will start off with vertical poles spread apart. They then place logs and branches horizontally in between the uprights. Finally, a combination of mud, stones and weeds help plug the gaps between the branches and the dam is complete. 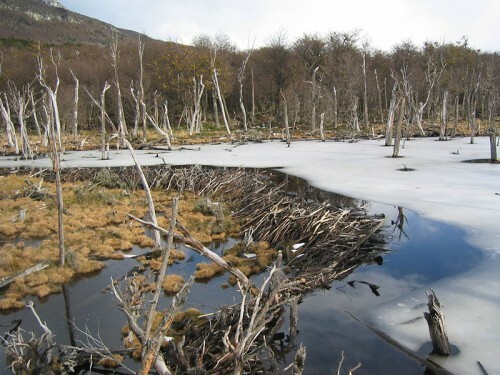 If a particular dam is highly important to beavers they can reconstruct it in as little as one night if it gets destroyed. Although one of the first things that people associate with beavers are dams they also are highly adept at constructing canals when they need to move large pieces of timber to other locations. Perhaps one of the most prudent questions you can ask is why build dams and canals in the first place? Beavers use dams for protection against predators. The dams allow them to build their lodges on ponds. They also allow the beaver to get easy access to food. The home of the beaver is the lodge. These structures made of wood, and mud can be up to ten metres (33 feet) across and they are usually circular in shape. Once they have finished constructing the lodge they dig out entrances that lead below the waterline. When the Autumnal weather arrives the beaver covers the lodge with a thick layer of mud. Once the layer of mud has dried – it becomes rock-hard and impenetrable to predators. Even animals as opportunistic as wolverines and wolves cannot gain access to these safe-houses. Each lodge usually only has two rooms, called dens. The inside one is used for drying off and the second for habitation. Despite the size of some of the structures, only a small portion is composed of the dens. A family of six to eight beavers usually occupy a lodge. 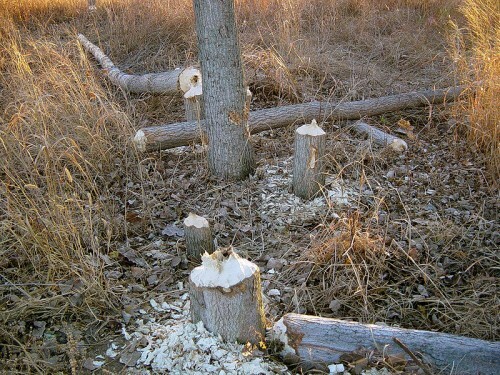 Beavers are the tree loggers of the natural world. They can easily cut down a tree up to 150mm (6 inches) in diameter in as little as an hour or so. The key to beavers’ ability to gnaw quickly through timber is down to their teeth. Their four incisors are composed of hard enamel at the front and soft dentine at the back. The dentine layer wears out faster than the enamel and this causes a self-sharpening process which helps to keep the teeth razor sharp. Their teeth grow continuously throughout their lives. Tree-feeling is also a source of food for beavers who are herbivores. There are two distinct species of beavers. 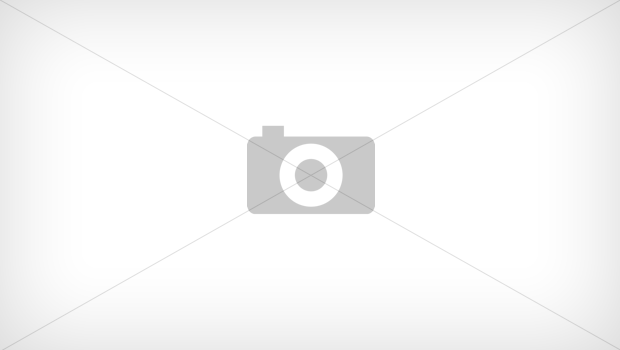 One is the European Beaver (Eurasian Beaver) and the other is the North American Beaver. Of the two, the Eurasian is the larger species. Eurasian beavers are not quite as fluent on two feet as their North American cousins given that the two species’ bone structure is slightly different also. Both species are so different that it is unlikely that the two will ever successfully interbreed. With 40 chromosomes the North American Beaver has eight less than the Eurasian – such a distinction makes it virtually impossible for the two to breed. Besides their teeth, beavers are supremely adapted to their way of life. Their lips squeeze tightly shut when they dive underwater preventing them from unwittingly swallowing. They may not have the sharpest eyesight but there is nothing wrong with their hearing. They can hear sounds that humans find inaudible. The webbed tail that beavers posses is another adaptation that is perfect for their needs. In the water their tail provides excellent locomotion. Beavers are highly social creatures and live in groups. 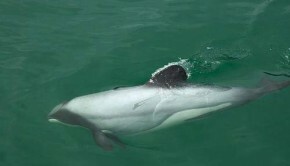 They often warn each other of danger by slapping their tails against the water while plunging beneath the surface. A whole family of beavers will work on creating and maintaining their dams and lodges. Beavers are monogamous and are mates for life. A family is comprised of a monogamous couple and their off-spring. Their relationship only lasts until death and if one dies the other will find another partner. Territories are very important to beavers and so distinguishing different territories is vital. To get over this challenge beavers have devised scent mounds which warn others not to encroach on their domain. The role beavers play in the ecosystem is very important. The dams and the changes they bring to the landscape improve water quality by removing pollutants, some of which come from modern agriculture. The wetlands that beavers create through their dams helps many other species. A mainly nocturnal creature, beavers pique our interest. They are excellent engineers, who are masterful at creating the aquatic environment that best suits them. Their ability to build canals and dams must have been obvious to our ancestors and their monogamous relationship is eerily what we aspire towards. Perhaps there is more we could learn from these creatures. 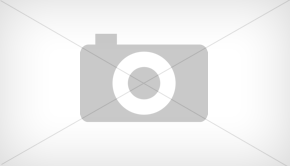 Beavers can be up to one metre in length (three feet). They can weigh as much as 25 kilograms (55 lbs) with males and females being the same size. In the wild, beavers can live as long as 25 years. They can hold their breath for as long as 15 minutes. 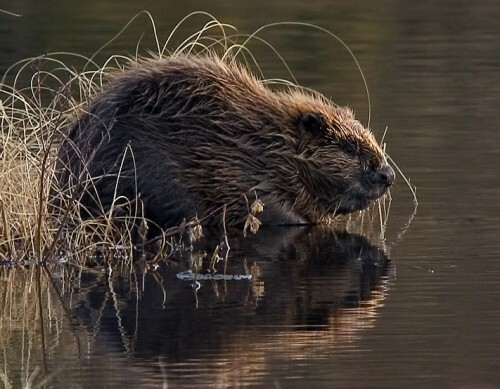 Eurasian Beavers are now found in Central Europe, Scandinavia and parts of the United Kingdom. 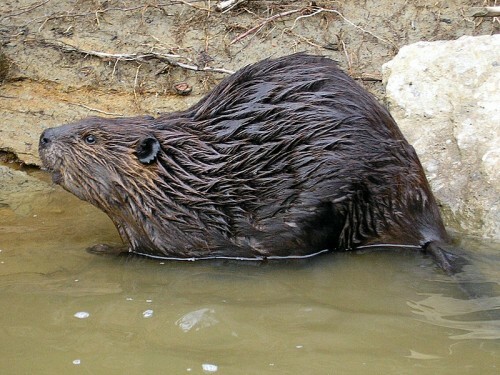 The North American Beaver lives in Canada, parts of the United States and Chile and Argentina.